Though many people experience jaw pain every once in a while, it is often nothing to worry about. Yet, if the pain is accompanied by popping, grinding, and headaches, you may have Temporomandibular Joint (TMJ) disorder. The TMJ joint is the hinge where your upper and lower jaw connects, right in front of the lower part of your ear. The Dentists at Kingsway Dental Centre are trained to help treat TMJ disorders so you can have full function of your jaw again without bothersome pain. Most often, TMJ disorder is caused by trauma to the jaw and surrounding muscles. This trauma can dislocate the jaw, making it pop and grind when you open and close your mouth. Another common contributor to TMJD is grinding and clenching your teeth while you sleep, putting hundreds of pounds of pressure on your jaw during the night. This disorder can also be cause by stress, chewing gum, and arthritis. When people who have TMJ disorder chew, talk, yawn, or open there mouth it can cause the bone to grind together or make a popping sound. This grinding can result in lock jaw, headaches, and muscle pain. Other symptoms of TMJD are dizziness, toothaches, earaches, and severe jaw pain. People who have TMJD also often have bite misalignments such as over bites, under bites, and cross bites. Unfortunately, there is no cure for TMJ disorder, though it can be treated to help lessen the symptoms. In most cases, a splint can help reduce the pain and popping caused by TMJD. A splint is a mouth guard that is custom made and fits comfortably between your upper and lower teeth to keep you from grinding and clenching, while also moving your jaw into the correct position. Anti-inflammatory medications and muscle relaxers are also often used to treat TMJD since they will help relax the jaw at night to keep you from grinding. If you clench or grind due to stress and anxiety, you may also be prescribed an anti-anxiety medication as well. In the most extreme cases, the patient may need oral surgery to repair the joint. 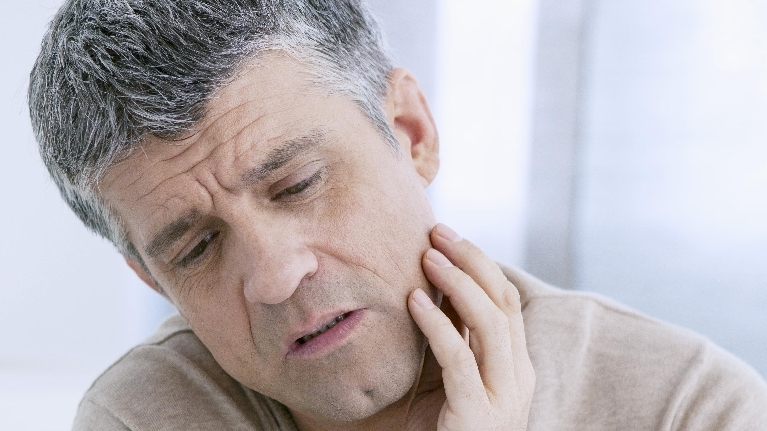 Your jaw pain and popping may be cause by serious problems and should be checked by your dentist as soon as possible. If you live in Edmonton, AB and are experiencing some of the symptoms of TMJ and would like more information, please contact our office to schedule a consultation. http://kingswaydentist.ca/wp-content/uploads/2017/03/medium_TMJ-Disorder.jpg 431 767 Chris Kerr http://kingswaydentist.ca/wp-content/uploads/2017/03/KINGSWAY-1024x301.png Chris Kerr2017-03-09 10:40:262017-07-10 17:10:11What is TMJ?